Alone, every hero has his or her own special talent. But when champions work together, the results are un-Bunga-lievable! Defend the Pride Lands with Kion and his courageous team in Disney's breathtaking adventure series based on the legacy of THE LION KING. You'll run like the wind, move mountains and save the day with these five brave friends as they summon their inner powers and help protect the Circle of Life. 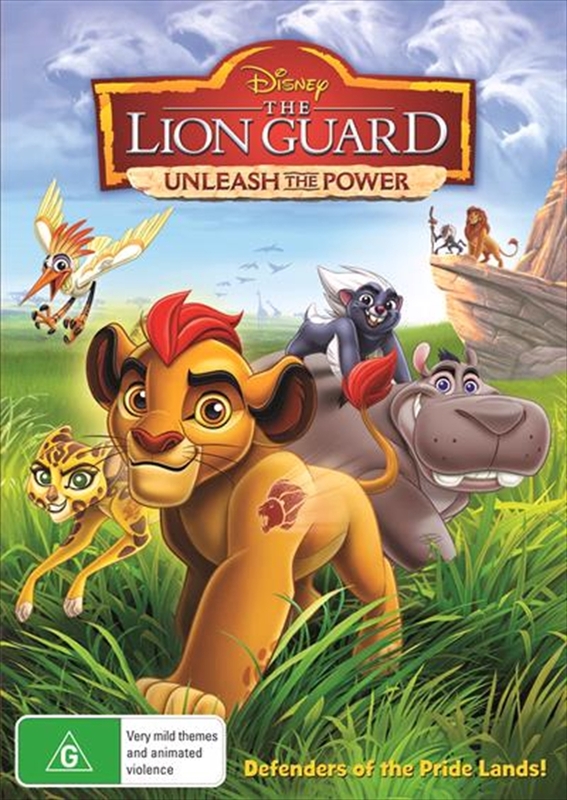 Packed with action, music and over two hours of fun, THE LION GUARD: UNLEASH THE POWER proves that when heroes join forces, they're truly a force to be reckoned with!